A lot of people seem to forget that one of the most picturesque parts of the United Kingdom is the fascinating country of Wales. It’s filled with history, tradition, myth, magic, legend, and culture and the countryside is second to none. One of the most scenic regions is the area around the old town of Carmarthenshire. If you’d like to explore this part of Wales, camping is a great way to go and one of the best campgrounds around is Faerie Thyme Holidays. This adults-only ground is open all year round and is ideal for tent, caravan, and motorhome camping with pre-erected tents also available for hire. The site is located just to the southeast of Carmarthen, which is the oldest market town in Wales, and is believed by historians to be the birth place of Merlin. 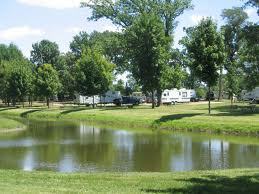 The campground is three acres in size and offers spectacular views from the footpaths. There are some wonderful hiking trails which take you through ancient woodland where you’ll often come across wild ponies enjoying the countryside too. The camping area sits inside the woodland among a variety of colourful and aromatic herbs and wild flowers. If it’s tranquillity that you’re looking for this is definitely the place to be. There’s a farmhouse at the campground for fresh eggs and other basic essentials. Faerie Thyme Holidays also has electric hook-ups, hot showers, a toilet block, and chemical disposal. You don’t have to travel far from the campground to find restaurants, a pub, a beach, watersports, fishing, and golf. There are plenty of things to see and do in the area. Hiking and cycling is popular and there are several public areas where you can get some breathtaking views. Other local attractions include Aberglasney Gardens, the National Botanic Gardens, Kidwelly Castle, beaches at the town of Pembrey, Laugharne, Pendine Sands, and the charming town of Narbeth. A visit to Carmarthen Market is also recommended for all travelers as there are plenty of arts and crafts as well as goods.